In addition to the classes listed here we are also open for practice between 1pm and 9pm Monday to Friday as well as 10am to 2pm on Saturdays! 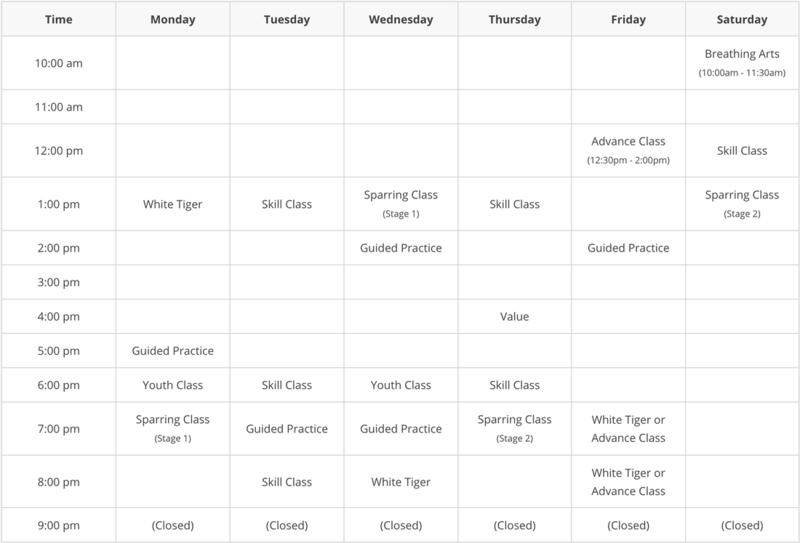 If you are on mobile then CLICK the image below to view a larger PDF version of our Kung Fu Class Schedule! While you are on this page you should CLICK PLAY on the video we shot on a whim here during a Wednesday practice. If you would like to get a small taste of what you will experience here then that's a great way to do so without coming to our studio in person. We'd love to meet each and every one of you so check out our video then come on in and meet our welcoming community of martial artists in Calgary.